At the beginning of March, a mandate from the Canadian Radio-television and Telecommunications Commission (CRTC) forced all cable and satellite television providers to offer $25 or less (~$19 in USD) skinny bundle channel packages to consumers. Now that it’s been three months, it’s worth a look at how the industry and viewers have reacted to these plans. According to Rogers Communications CEO Guy Laurence, customers appear to be keeping their plans rather than selecting a cheaper package. However, Jean-Pierre Blais, chairman of the CRTC, suggests that the public should be negotiating with their service operator to receive a preferred deal. Additionally, market analysts believe that many businesses are not fully informing consumers of their options, and in some cases may be attempting to make the skinny bundle unpalatable. "The $25 packages are essentially all the over-the-air stations, which can also be accessed by using an antenna, a cheaper alternative," said Brahm Eiley, president of the Convergence Consulting Group. Bell Canada’s $25 package does not have U.S. networks, and 10 of the 26 channels are French-language only. Videotron’s package also features mainly French-language networks, and no American offerings. Meanwhile, Rogers’ bundle includes 30 channels, and has NBC and PBS, and Shaw’s selection involves 40 channels, with CBS and ABC. "I don't think [skinny bundles have] ended up all that attractive an offer. The companies have tried to give this stuff a stillbirth," said Dwayne Winseck, a professor at Carleton University’s School of Journalism and Communication. The skinny bundles are just the first part of the CRTC mandate. 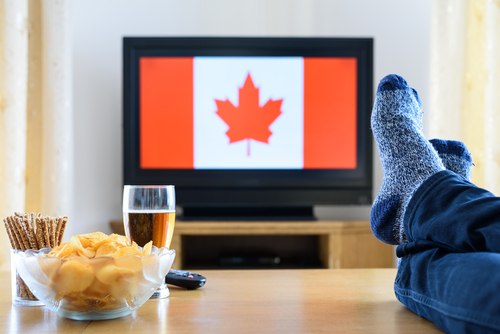 On December 1, Canadian TV operators will be required to offer “pick-and-pay,” or full-on a la carte television. It will be interesting to see if the lessons from the first part of this year are applied later in the winter season.